While these guidelines may help clinicians better care for patients with Kawasaki disease, more research is needed. 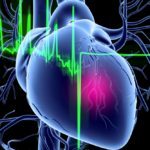 A new scientific statement by the American Heart Association is the first update regarding the diagnosis and management of Kawasaki disease (KD) since 2004.1 A multidisciplinary expert panel revised recommendations from the previous guidelines based on their examination of recent evidence and clinical opinion. KD results in coronary artery aneurysms in approximately one-quarter of untreated cases, and it is the top cause of acquired heart disease in children in the United States.2 While the etiology of KD is unknown, the revised guidelines integrate new findings on the epidemiology, genetics, pathogenesis, and long-term outcomes of the disease. The criteria for KD diagnosis include ≥5 days of fever and the presence of ≥4 of the 5 principal clinical features: bilateral nonpurulent conjunctivitis, oral mucosal changes such as strawberry tongue and cracked lips, peripheral extremity changes, rash, and cervical lymphadenopathy of >1.5 cm. However, patients may not exhibit 4 or more clinical features at once, rendering diagnosis difficult. For example, some patients may present with fever and meet 2 or 3 of the classic criteria. These patients are considered to have suspected incomplete KD vs complete KD. Prompt treatment with intravenous immunoglobulin (IVIG) has reduced the incidence of coronary artery aneurysms from approximately 25% to 4%. IVIG should be administered as soon as possible within 10 days of fever onset. There are also recommendations for additional therapies, including corticosteroids, infliximab, and cyclosporine, in patients who are IVIG-resistant, as well as detailed recommendations for KD management based on coronary artery involvement. Although these guidelines can assist clinicians in the care of patients with KD, important gaps in the evidence remain. “Until the cause and pathogenesis are defined, an exact diagnostic test remains elusive, and acute treatment remains somewhat empirical,” the researchers concluded. Disclosures: A few of the authors list various disclosures within the paper, available online. Childhood/Kawasaki-Disease_UCM_308777_Article.jsp#.WRMzdFXytaS. Accessed May 9, 2017. Last reviewed May 2017.